First let’s get one persistent canard out of the way. Yes, the tomato is technically a fruit, not a vegetable, but for purposes of economics the USDA classifies it as a vegetable, and as such it is the second most popular vegetable in the nation after that other burger staple, lettuce. 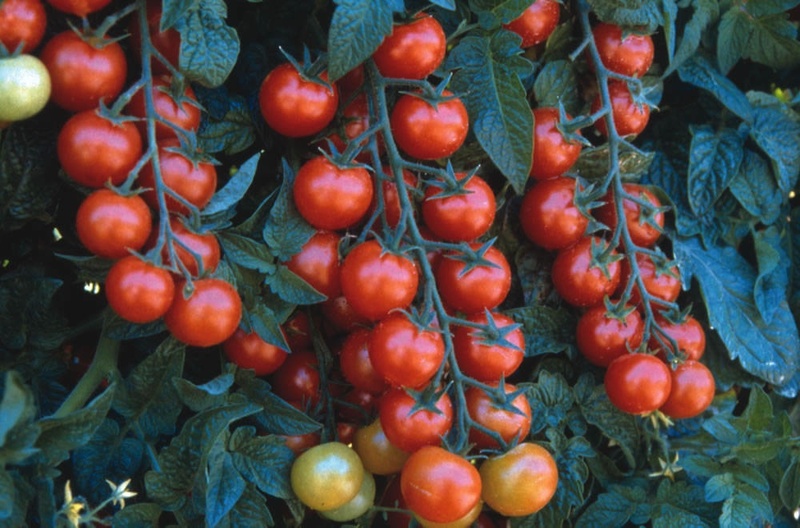 This is surprising in only one respect: A vast majority of the tomatoes consumed in the U.S. every year ($5 billion worth), are devoid of the flavor and nutritive value they once had. This is because the tomatoes grown in the fields in and around Immokalee, Florida, where nearly one third of the tomatoes consumed in the U.S. are grown, are bred for one thing and one thing only. And it’s not flavor, and it’s not nutrition. It’s shipability, period. To qualify as grade A in that department, it needs to be a specific size, and a specific shape, and it needs to be picked while still green and rock hard. In fact, Estabrook relays a story of nearly losing control of his car as it was pelted with the tough green orbs bouncing off the back of a tractor-trailer on a Florida highway. The fruits hit the pavement at 60 mph and rolled to the gravel shoulder unscathed. That truck was likely headed to one of the many enormous warehouses in the area, which “force-ripen” the fruit by smothering them with ethylene gas. This process does make them red, but it does not truly ripen them. Thus the sugars are nowhere near as developed as the ones in your back yard will be and the result is the mealy pink baseballs in your grocer’s produce section right now. Our enormous appetite for having pretty much any food available to us at anytime of year has led to a system where yes, you can have a tomato in February, but the cost is a lot more than the $1.25/lb you’re likely to pay at your local Wal-Mart. It comes at the cost of enormous environmental damage and shocking worker abuse. It utilizes thousands of migrant workers, some of whom are undocumented, and many of whom live and work in literal slave conditions. And since the muggy lowlands of Florida are not native habitat, a tomato plant there can fall victim to as many as 27 separate insect species and 29 different diseases, necessitating a plethora of chemicals that are as hard on the workers and the land as they are on the pests. Then there’s the 31 different fungicides in use. The list goes on. Tomatoland is based on Estabrook’s James Beard Award-winning 2010 article “The Price of Tomatoes,” and is an in-depth investigation of what’s wrong with the modern tomato (and by extension, modern agriculture). It is vital information that every conscientious eater-and parents of eaters-ought to know. Hopefully, as more people read the book, they will begin to look beyond price, and start considering cost.